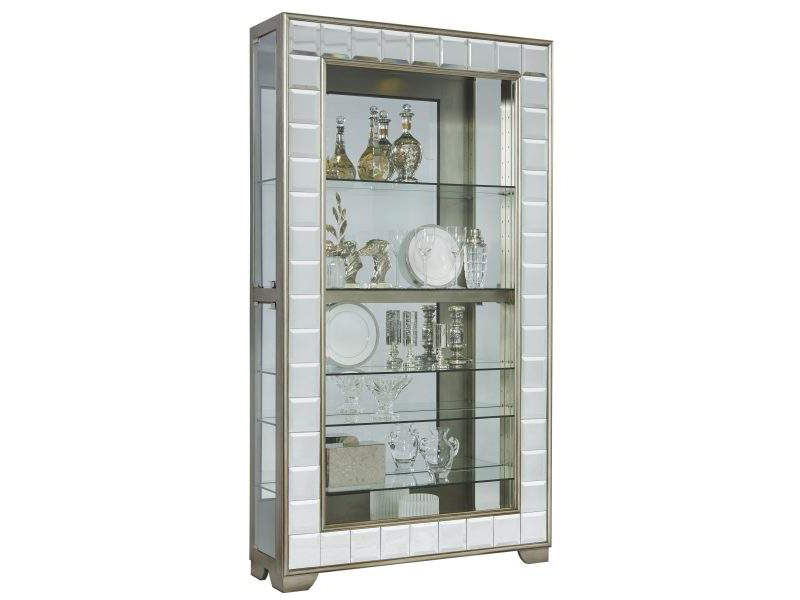 Featuring a unique mirrored front frame, this curio is sure to create a flashy display. The luxe design features a platinum finish, four adjustable glass shelves, two 3-way touch LED lights and a mirrored back panel. It not only beautifully displays your finest things, but becomes a feature pieces on its own.